The Berlinale has been even more committed to supporting the next generation of film makers since 2006, when it introduced the Best First Feature Award. The award is endowed with 50,000 Euros, donated by the GWFF (Gesellschaft zur Wahrnehmung von Film- und Fernsehrecht), a society dedicated to safe-guarding film and television rights. The prize money is to be split between the producer and the director of the winning film. Additionally, the director will be awarded with a high-quality viewfinder as both a useful instrument and memorable trophy. Debut feature films from the sections Competition, Panorama, Forum, Generation and for the first time also debut films from the Perspektive Deutsches Kino will compete for the award in 2012. 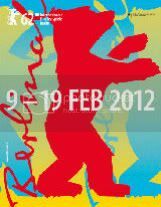 The winners will be announced at the official award ceremony in the Berlinale Palast on Feb. 19. The dramatist and novelist received the 1997 PEN Club Literature Award for his second play “The Man Who Never Yet Saw Woman’s Nakedness.” His new adaptation of “Die Nibelungen” became one of the most successful German theatre productions. In 2008 Franziska Stünkel filmed his award-winning work “The Vineta Republic,” and in 2010, his first novel, “Der Mann, der durch das Jahrhundert fiel,” became a bestseller. Hania Mroué is founder and director of the Metropolis Art Cinema, the first art-house cinema in Lebanon opened in 2006. Since 2001 she is the Managing Director of the Arab film festival “Cinema Days of Beirut.” For the release of Arab and international auteur films, she started the MC Distribution company. At the Doha Film Institute, she is in charge as Chief Arab programmer for the Doha Tribeca Film festival and DFI’s year round initiatives.